Are you looking for the best whole body vibration machine in the sub-$300 range, that is compact, sturdy, and most importantly, effective? Do you want a machine that gives you most of the benefits of whole body vibration without paying $2,000+? Do you want a machine with a free 6 month warranty so you don’t have to worry about your investment? 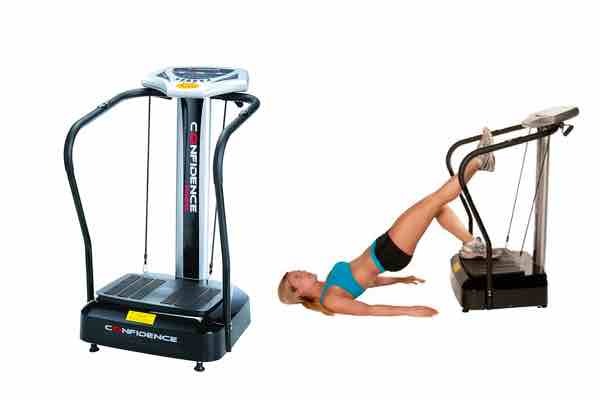 If so, look no further than the Confidence Fitness Slim Whole Body Vibration Platform Machine. The Confidence Fitness Slim Whole Body Vibration Machine is the best budget vibration machine out there, hands down. If you’re just getting started with WBV, or you live in a small apartment without much space, this is the right buy for you. This is a great option for people who want to see results without paying thousands of dollars. Read on to learn more about why we love this unit! Comes with three pre-set work-out routines programmed in. Portable and has wheels for easy moving! Slim, compact design (29″ x 27.5″ x 48″), only 62 lbs. Detachable vibration plate (21″ x 15″). Adjustable speed settings (1 to 50). Very quiet; when it’s running, you won’t even know it’s there. Why Buy the Confidence Fitness Whole Body Vibration Machine? 10 minutes on the Confidence Fitness Whole Body Vibration Machine is equal to 60 minutes of conventional exercise. Customers rave that just ten minutes a day on this machine have helped them shed 1-2 lbs per week and become more toned. 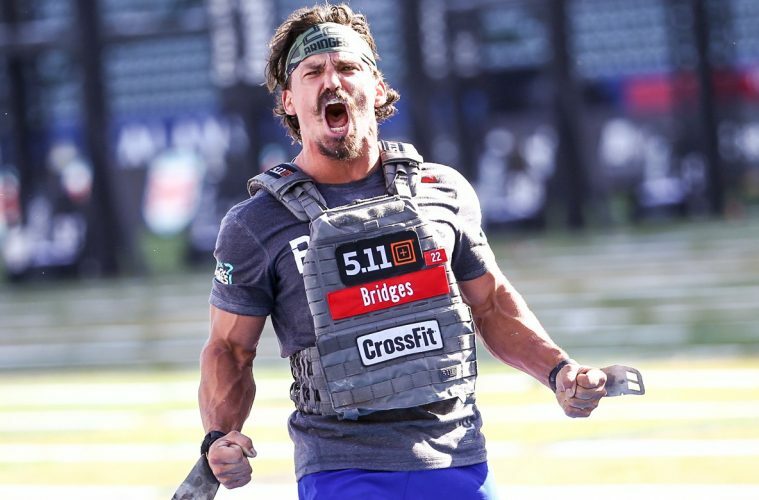 There are dozens of workouts on the internet that you can try – here’s a great article. This machine comes with a free 6 month warranty. The fact that Confidence Fitness provides a free warranty underscores their, well… confidence in their gear! On top of the free warranty, you have the option to opt in to an extra two year warranty for just $25. Portable and Not an Eyesore! If you’re older, recovering from injury, or have back problems, you don’t want to buy a machine that weighs hundreds of pounds. 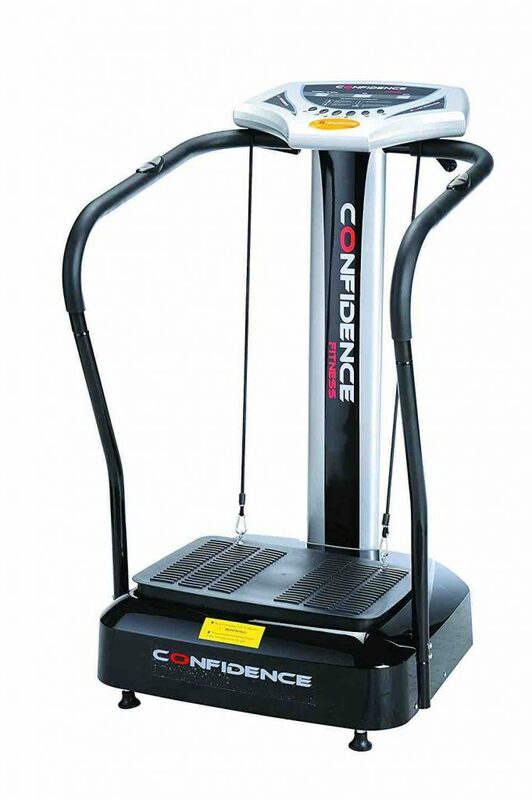 Lucky for you, the Confidence Fitness Slim Whole Body Vibration Platform Machine is only 63 lbs. It also comes equipped with wheels for easy transport. This is truly one of the most portable whole body vibration machines out there! We’re not going to mess with you.. if you’re expecting this budget machine to do the same things as a Power Plate, you will be disappointed. If you just want a basic unit that does most things right, you’ll be happy. The oscillating plate in Confidence Fitness’ Slim Whole Body Vibration Platform Machine is plenty powerful for home use. If you’re looking for a home machine that will kick you into shape without breaking the bank, then look no further. This is the right vibration machine for you!